The datum probe is used to record the transition of the sea past a known point, which has been levelled to the geodetic network. This is then used as a check against the sea level data, to highlight any shift in the system datum. 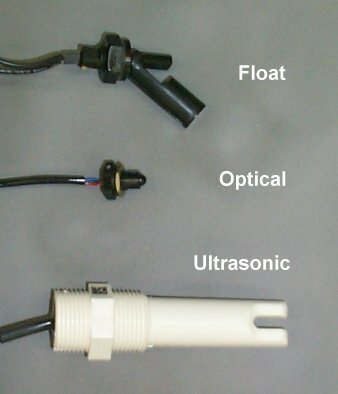 The datum probe can either be a float type which makes or breaks an electrical circuit as the float arm is raised and lowered by the water level, an optical type which generates a pulse and operates on the principle of refraction of light within the optical dome, and the change in this refraction during the transition of the water past the optical dome, or an ultrasonic transducer which generates a pulse when the water passes between the transmitter and receiver and increases the sound coupling between the two. These devices are mounted inside a housing which acts in a similar way to a stilling well, damping out wave action to avoid numerous unwanted triggers being recorded.